class="post-template-default single single-post postid-297156 single-format-standard custom-background group-blog header-image full-width singular wpb-js-composer js-comp-ver-5.7 vc_responsive"
Farmer Cooperatives (NCFC) and National Grain and Feed Association (NGFA) Tuesday issued a joint statement regarding a stakeholder-driven proposal to resolve the unintended consequences of Section 199A of the Tax Cuts and Jobs Act. The two organizations said they support inclusion of the legislation to amend Section 199A as part of the fiscal year 2018 Omnibus appropriations bill this month, and believe it warrants bipartisan support. 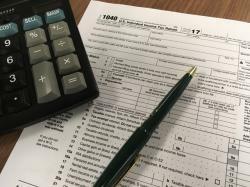 The legislation, if approved by Congress, would be retroactive to the start of the 2018 tax year on Jan. 1. • Second, to restore the competitive landscape of the marketplace as it existed in December 2017 so that the tax code does not provide an incentive for farmers to do business with a company purely because it is organized as a cooperative or private/independent firm. “Throughout the tax reform process that began last year, NCFC has consistently called on Congress to retain DPAD for famer co-ops and their member-owners and this legislation largely meets that goal. NGFA President and CEO Randy Gordon said great care was taken by stakeholders to develop a concept that provides tax relief to farmers, as envisioned in the tax-reform law, while restoring to the maximum extent possible the competitive balance in the marketplace. NGFA noted its members consist of an almost equal number of grain, feed and grain-processing businesses organized as cooperatives and private/independents. NGFA joined in thanking Sens. Thune and Hoeven, as well as Sens. Chuck Grassley, R-Iowa, and Pat Roberts, R-Kan., for working with stakeholders, as well as several Democratic senators who have expressed an interest in seeing the issue resolved. NCFC and NGFA said they will remain engaged on this critical issue until a stakeholder-led solution is enacted by Congress.